No one injured in March 2017 airliner incident. 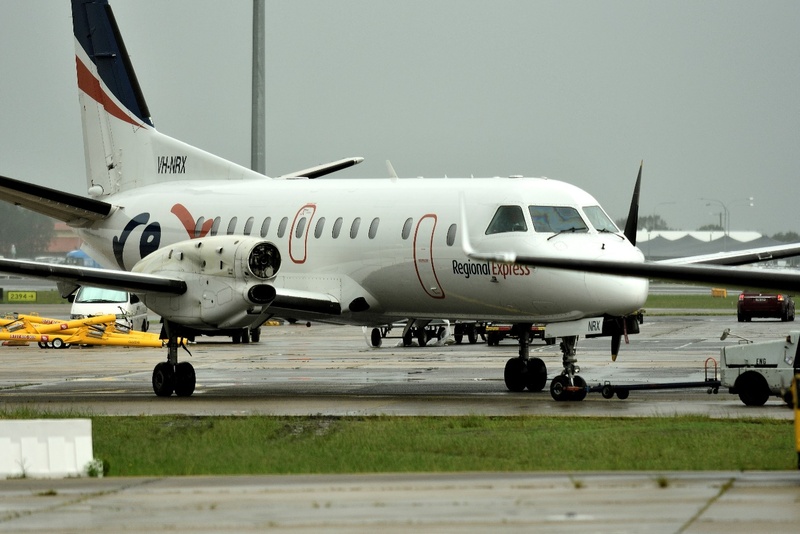 An undetected fatigue crack led to a Saab 340 turboprop losing a propeller during a scheduled passenger flight in March 2017, the Australian Transport Safety Bureau (ATSB) said in its final investigative report on the incident. The airplane landed safely at Sydney Airport after the propeller separation and none of the 16 passengers and three crew aboard the Regional Express (REX) flight from Albury to Sydney was injured. According to the ATSB report, the airplane was about 102 km (55 nm) southwest of Sydney Airport on March 17, 2017, when the flight crew noticed a slight fluctuation on the right engine torque gauge. When the captain was unable to stop the fluctuations by manipulating the power levers and condition lever, the crew began the uncommanded engine procedure checklist. As the crew proceeded through the checklist items, they began to feel minor vibrations from the right engine. When the vibrations worsened, the crew began the engine shutdown procedure. During the procedure, the propeller separated from the aircraft. The crew made a PAN PAN urgency call to air traffic control and completed the engine shutdown procedure, and the aircraft landed without further incident. The propeller that had separated from the General Electric (GE) CT7-9B engine was found four days later in a wooded area about 19 km (10 nm) southwest of Sydney Airport. This shows the propeller flange still attached to the rear of the propeller. Note that the attachment nuts were in the process of being removed by ATSB investigators onsite. ATSB found that the propeller gearbox (PGB) propeller shaft had fractured, leading to the propeller separation. Laboratory analysis of the propeller shaft revealed that the failure occurred as a result of a fatigue crack that had initiated from the PGB propeller shaft flange dowel pin hole. 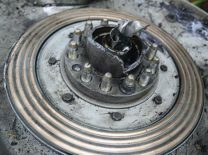 ATSB also said that GE’s maintenance documentation did not include specific inspection procedures to detect fatigue cracking of the propeller shaft. After the incident, GE released service bulletins requiring immediate inspection of the PGB propeller shaft, and changes were made to the manuals to include more ongoing inspections of the area. The U.S. Federal Aviation Administration issued an airworthiness directive (AD 2018-03-13) in February 2018 requiring initial and repetitive inspections of the main propeller shaft for affected engines. Operator’s nine-year overhaul cycle contributed to the gear failure, NTSB said. Separation of Super Puma’s rotor traced to main rotor gearbox fatigue cracking. The GE90-85BG11 engine had accumulated 11,459 total cycles before the failure.